2016 was a year of many things - changes, challenges and opportunities. But above all else, 2016 was a year where you continued your work to change the world; to bring the world a little closer to finding common ground amongst peace, progress, and innovation. 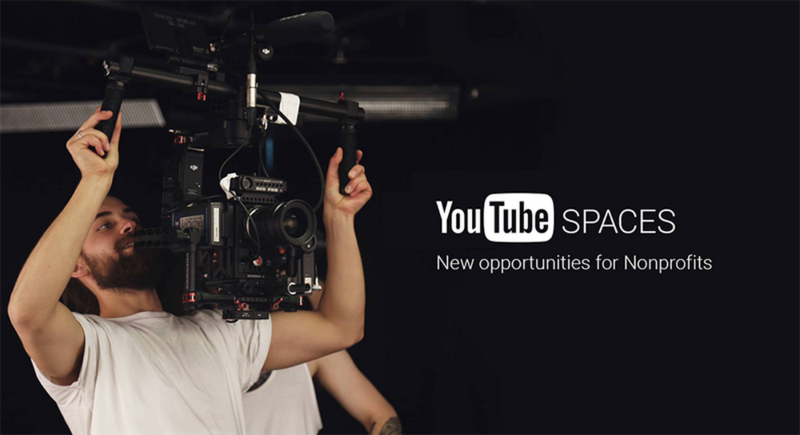 So you’re using Ad Grants - our in-kind advertising solution for nonprofits which allows you to run text ads on Google Search - and you’re looking for more insights? 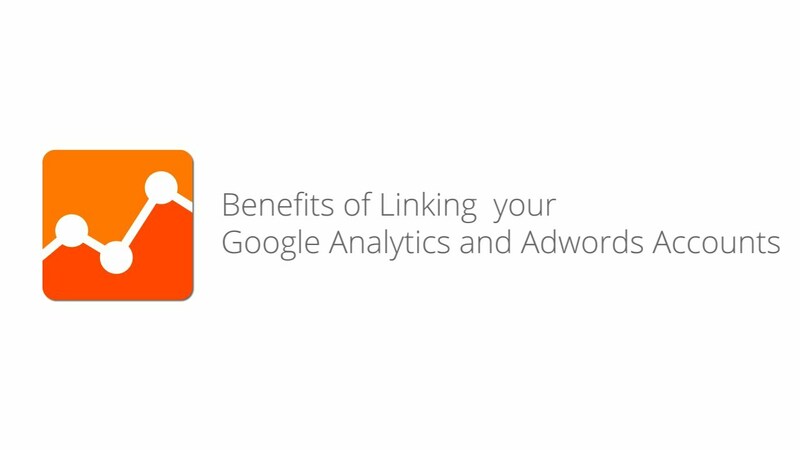 Google Analytics is your go-to tool for providing insights into user behavior, which can be used to inform Google Ad Grants, as well as website optimization. By syncing data and using Ad Grants & Analytics in tandem, you can boost the quality of traffic reaching your site and increase the chance of visitors completing a meaningful action on your NGO’s page. This entry was posted in Google for Nonprofits and tagged Causes & Community, Nonprofits on December 30, 2016 by Patrick Ip. So you’re using AdGrants - our in-kind advertising solution for nonprofits which allows you to run text ads on Google Search - and you’re looking for more insights? Google Analytics is your go-to tool for providing insights into user behavior, which can be used to inform Google AdGrants, as well as website optimization. By syncing data and using AdGrants & Analytics in tandem, you can boost the quality of traffic reaching your site and increase the chance of visitors completing a meaningful action on your NGO’s page. This entry was posted in Official Google Blog and tagged Causes & Community, Nonprofits on December 30, 2016 by Patrick Ip. To combat this you’ll want to make two quick changes to your account. This entry was posted in Inside AdSense and tagged AdSense, help, Program Policies, support on December 28, 2016 by Jay Castro. Episode twelve of The Mobile Ads Garage is live on YouTube! 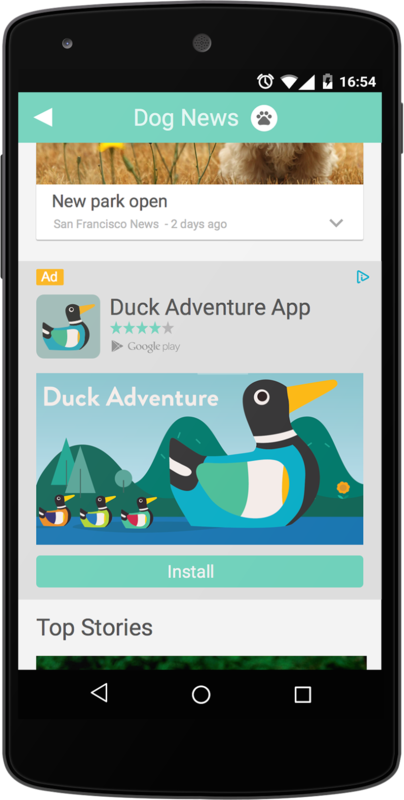 If you haven't seen it before, The Mobile Ads Garage is a video tutorial series that covers how to use the Mobile Ads SDK to display ads from AdMob and DoubleClick for Publishers. Each episode covers one aspect of the SDK, breaks down the feature, and shows screencasts of real implementations on both Android and iOS – all in a friendly format. In this deep dive episode of the Mobile Ads Garage, you'll learn how to integrate Native Express ads into an iOS app that uses a UITableViewController for its primary UI. Along the way you'll get a detailed set of step and see screencasts of an implementation in Xcode. The episode also covers a handy technique for tapping into the ad lifecycle to load native express ads sequentially, from the top of the list to the bottom. We'd love to hear which AdMob features you'd like to learn more about. The comment sections for the videos are open, and you're welcome to toss out ideas for new episodes and examples you'd like to see. If you have a technical question relating to something discussed in one of the episodes, you can bring it to our support forum. 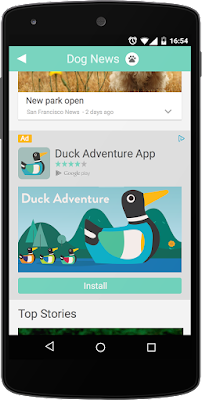 This entry was posted in Ads Developer Blog and tagged AdMob, admob_sdk, ios, mobile_ads_garage, mobile_ads_sdk, native_ads_express on December 27, 2016 by Google Ads Developer Advisor. Editor's Note: You can now use Zipkin tracers with Stackdriver Trace. Go here to get started. As described above, the new Stackdriver Trace Zipkin Connector is a drop-in replacement for an existing Zipkin backend and continues to use the same Zipkin-compatible tracers. You no longer need to set up, manage or maintain a Zipkin backend. Alternatively, you can run the new collector on each service that's instrumented with Zipkin tracers. 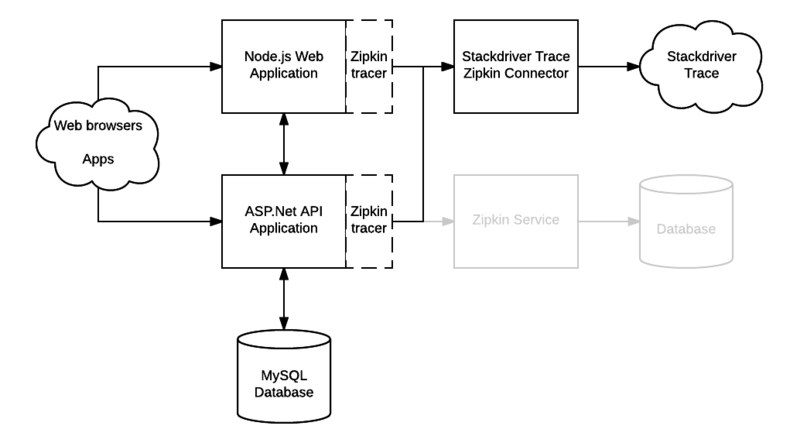 Read the Using Stackdriver with Zipkin Collector guide to configure and collect trace data from your distributed tracer. 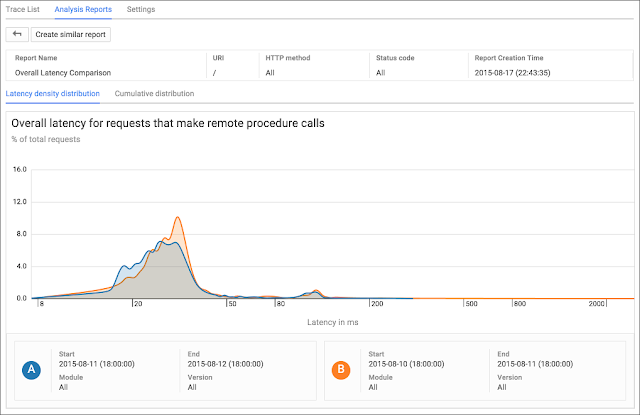 If you're not already using a tracer client, you can find one in a list of the most popular Zipkin tracers. 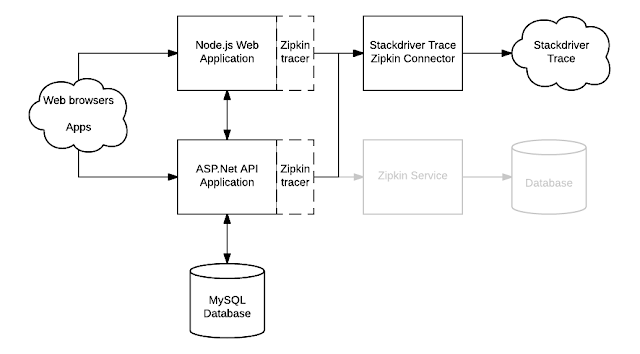 You’re welcome to set up the Stackdriver Trace Zipkin server and use it in conjunction with or as a replacement for your existing Zipkin backend. 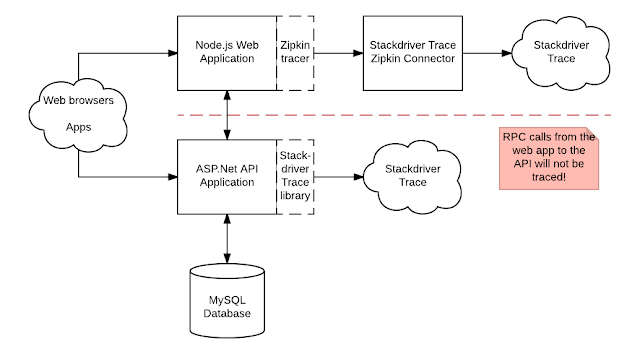 In addition to displaying traces, Stackdriver Trace includes advanced analysis tools like Insights and Latency Reports that will work with trace data collected from Zipkin tracers. 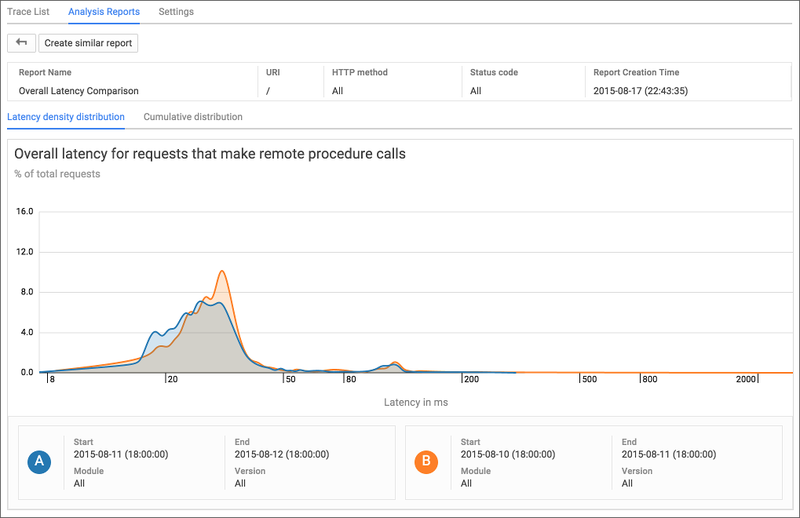 As Stackdriver Trace is hosted by Google, you'll not need to maintain your own backend services for trace collection and display. This entry was posted in Google Cloud Platform Blog and tagged Google Cloud Platform, Partners, Stackdriver on December 27, 2016 by GCP Team. This entry was posted in Google LatLong Blog and tagged Holidays, LatLong, Maps, Search on December 24, 2016 by Tracy Hepler.